LEDs light up the new galleries of the Harvard Art Museums. The question of lighting in the Harvard Art Museums’ new facility is an important one. Imagine how different art might look in daylight as opposed to the glow of an incandescent lightbulb. Not only can lighting affect a work’s appearance, but it also can risk damage. So, after careful consideration, the decision was made to use Light-Emitting Diodes (LEDs) to illuminate all works in the new facility, addressing many issues faced by curators and conservators while improving energy efficiency as well. According to Angela Chang, Assistant Director of the Straus Center for Conservation and Technical Studies and Conservator of Objects and Sculpture, the Harvard Art Museums are helping pioneer the use of LED lighting in a museum setting. Few museums have fully switched from incandescent lighting, though they will soon be forced to as incandescent bulbs are phased out in the United States and internationally. Until recently, museums hesitated to use LEDs because of fears about their safety for works of art, issues with flickering, and the limited spectrum of light they emitted. However, the technology has advanced, and museums, lighting specialists, and conservation scientists have found that the quality of light provided by LEDs is comparable, or even preferable, to that of incandescent bulbs. More important, experts now agree that LEDs pose no exceptional issues for the preservation of works of art. 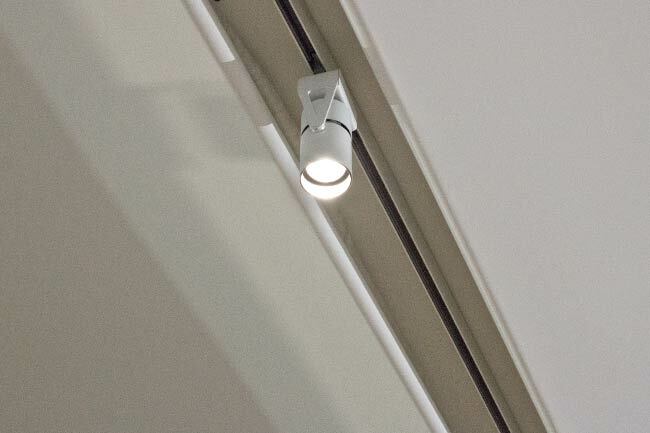 Peter Atkinson, Director of Facilities Planning and Management at the Harvard Art Museums, said that improvements in LEDs’ color rendering index—a measure of light’s ability to render color as faithfully as an ideal, natural light source—acted as the “tipping point” for the selection of this lighting method. In addition, the quality and lifespan of LEDs will reduce visitors’ use of lights and camera flash in the galleries—an added benefit in the overall effort to protect the collections. Still, light damage to works of art remains a serious concern. The energy of light not only causes fading and changes the color of pigments, but also catalyzes chemical reactions that lead to deterioration of paper, cloth, leather, and other materials that give works their structural integrity. Chang noted that many works in the museums’ collections, especially works on paper, are extremely light sensitive “due to the inherent instability of their materials and/or fading or damage that has already occurred and altered the appearance of the artwork. Our important and popular Winslow Homer and John Singer Sargent watercolors, for example, are closely monitored since similar objects in other collections have demonstrated irreversible light damage.” Thus the museums are taking the utmost care to control light in the new facility, especially in spots where natural light will take the place of LEDs. 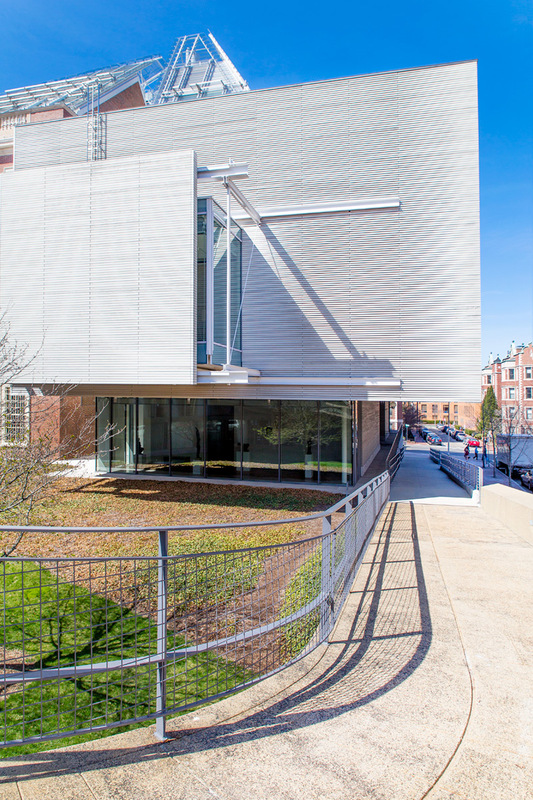 Identifying appropriate conditions and shading devices to control natural light has been a collaborative effort between conservators, lighting engineers, and architects. Devising policies for limiting and tracking light exposure for light-sensitive works of art has also been a key component for this preservation effort. All of this work will ensure that light-sensitive objects will be available for study and display. LEDs also will increase energy efficiency and lower costs. As Atkinson explained, LEDs reduce electrical demand, and because the lights can last close to 15 years, they will be replaced much less frequently than incandescent bulbs, cutting down on physical waste and saving money in the long term. He also emphasized that LEDs produce less ambient heat (they do not physically heat up); this makes them easier to handle, reduces air conditioning requirements, and creates less of a temperature gradient from floor to ceiling, which typically requires many fans to correct. I think that visitors to the new galleries will appreciate the consideration the Harvard Art Museums took in getting the light right. Beyond helping protect their works of art and saving energy, LEDs have the power to enhance visitors’ experience with the art—the most important advantage of all. 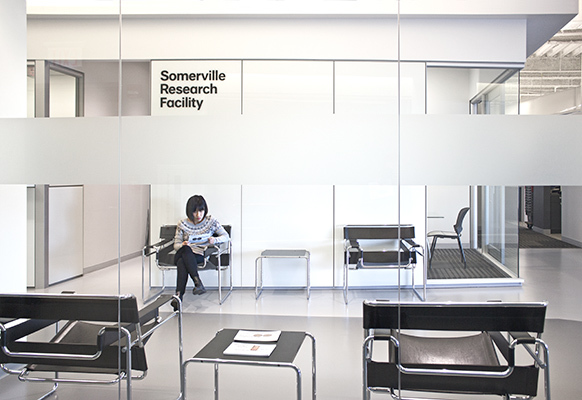 Sarah Rosenthal (’15) is our Index student correspondent. She is concentrating in History of Art and Architecture with a focus on Modern and Contemporary Art and a secondary in Computer Science. Just as expected, the gray wood stain on the facade of our recent addition has begun to take on a natural shade of silver—and we’re embracing that change. 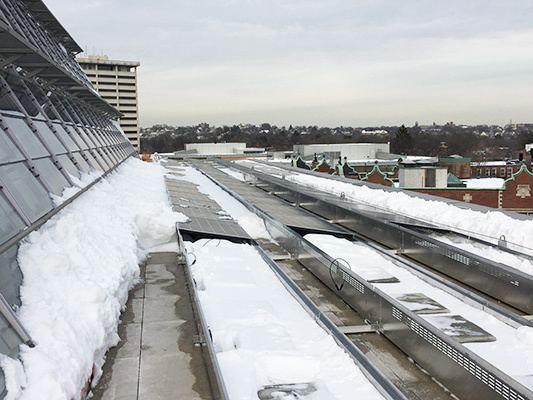 A new 29.61-kilowatt system of solar panels—94 in all—has been installed on the fourth-floor roof of the Harvard Art Museums.